COS and HAY continue their collaboration with an updated collection for Spring 2016. The carefully curated collection of objects launches in March 2016 in COS London High Street Kensington, Vienna Neubaugasse and Gothenburg with an edited collection available online at cosstores.com across Europe. 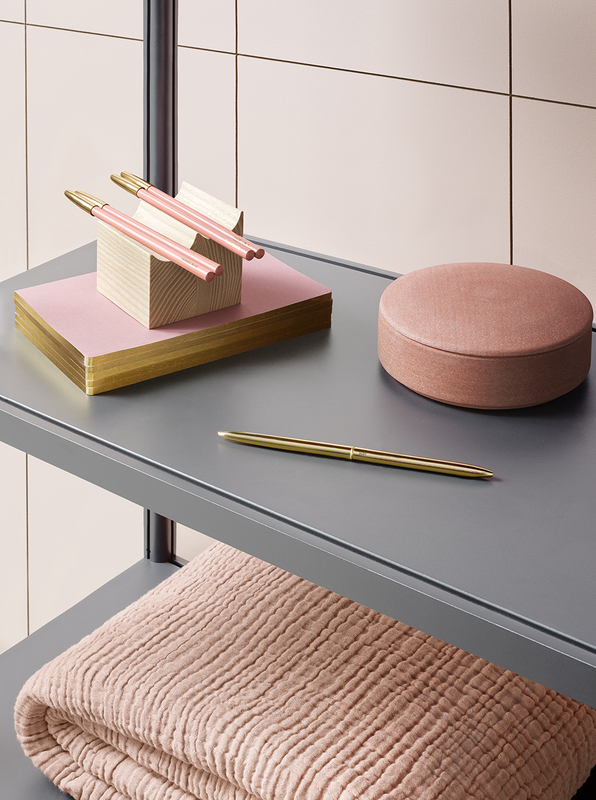 Centred around three core categories: live, work and dine, the spring collection features a hand-chosen edit of accessories and furniture for the home in fresh shades of green, blue and pink, alongside tactile light wood and cork finishes. COS has collaborated with HAY for many years, with the brand using HAY products to create lifestyle spaces within their stores and using HAY rails to display collections. Both brands share many values and aesthetics, a Scandinavian heritage and a commitment to functional design paired with surprising and playful details. COS Heads of Design Karin Gustafsson and Martin Andersson have handpicked items from the HAY range to offer an extended collection of lifestyle and homeware items. Inspired by the world of art, design, architecture and furniture, the collaboration is an opportunity for COS to partner with a brand they have a great synergy and relationship with. “We were very pleased with the reaction from our customers on the collaboration with HAY, we have always admired what HAY do and share many of their values. We look forward to continuing our relationship with them and offering our customers something new. We like to describe it as HAY seen through the eyes of COS,” says Martin Andersson, Head of Design, COS.